At Computex on Tuesday, NVIDIA CEO Jen-Hsun Huang displayed a new touchscreen technology that allows users to wield a simple capacitive stylus and write using different levels of pressure. A flat surface at the other end of the stylus allowed Huang to erase mistakes. Keep in mind that the pen employed by the executive was a non-digitizer stylus. By using a capacitive touchscreen and a stylus that works on pressure, battery life should be saved. A high detection rate led to some nice looking graphics including curved lines that looked great on the experimental 7 inch tablet used for the demonstration. 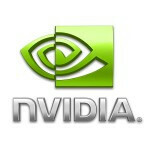 For this to work you need to employ the NVIDIA Tegra 4 and NVIDIA's DirectTouch platform. There was no word on which slabs will be employing this technology in the near future. So whens the Nexus 7 coming out with this chip in it. Nvidia Tegra 4 to lips moved too late. Mr. Huang has a habit of making promises that doesn't live up to expectations. How is this exactly better than a Wacom Digitizer? Exactly! I'd get a the bamboo pen over this!